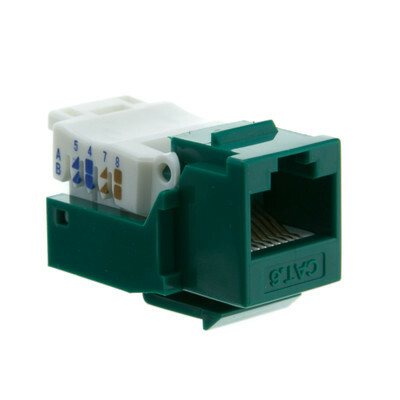 Having the right equipment to terminate your network cable runs is always important, which is why CableWholesale offers several different types of Cat6 keystone jacks. 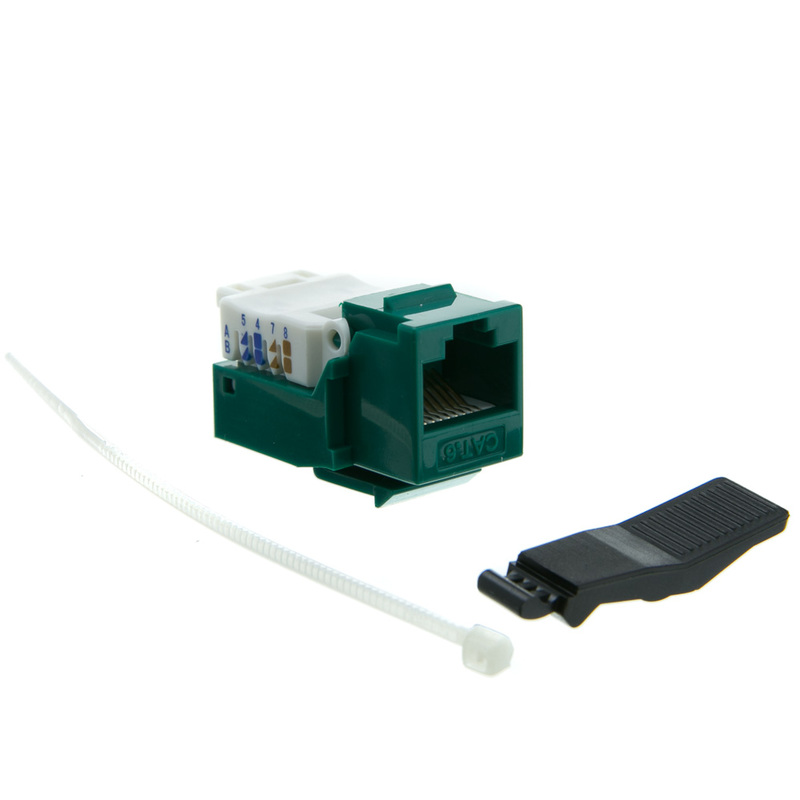 With our Green Cat6 RJ45 Keystone Jack, you will have everything you need to pull off fast transfer rates in any type of network environment. One of the best features of this keystone jack is that it offers a completely toolless installation. Once you place the plastic cover over your wires your job will be done. 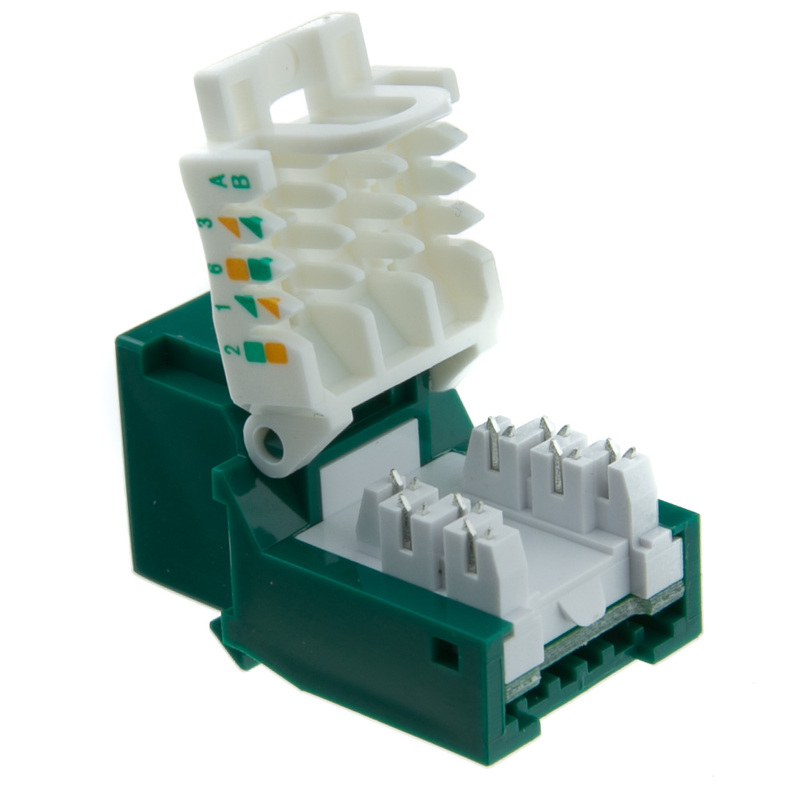 You can also use this keystone jack with both gigabit speed and ATM products, as well as several other accessories we offer like surface mount boxes and patch panels. The next time you need a keystone jack for networking, phone lines, or any other type of data transfer, you can rely on the team at CableWholesale. 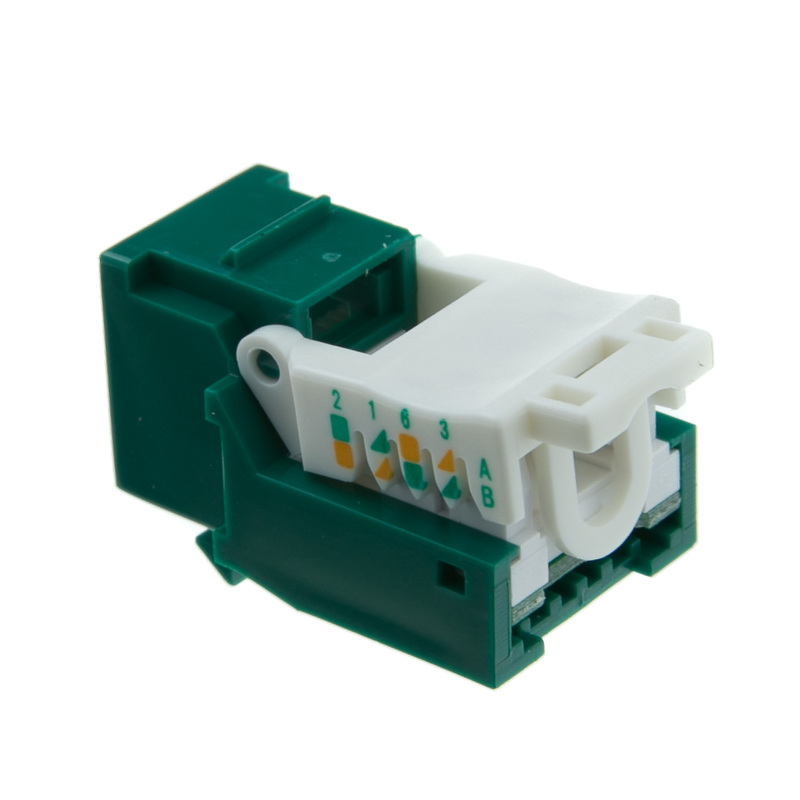 Our Green Cat6 RJ45 Keystone Jack is made with gold connectors and copper conductors for the best signal results, and you can rest easy knowing it won’t corrode over time. 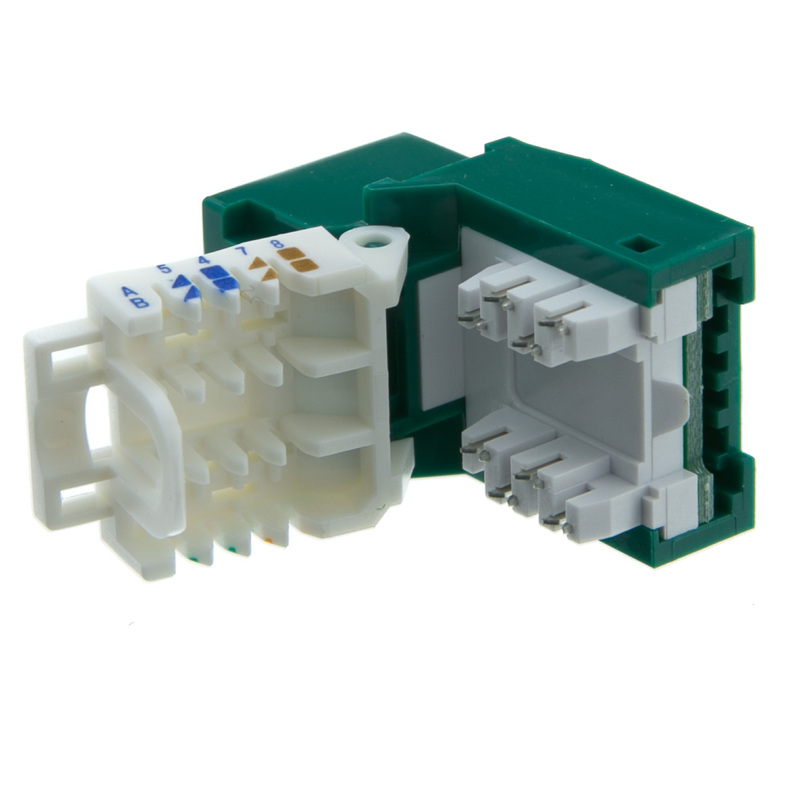 For more details about this Unshielded Twisted Pair Cat6 keystone jack, please give us a call today!